Before any works on your siding commence it’s always good to learn whether your chosen siding contractors are ready to handle job correctly. One of the first things you should ask isn’t actually total cost of the project but rather liability and compensation insurance. At the first glimpse, it doesn’t seem to be your problem but I wouldn’t be so hasty. Inadequate coverage or lack of thereof may result in you paying for repairs or replacement of items damaged by siding contractors. In case any of the workers is injured during siding installation, you may also be held liable for medical costs such situation incurs. Another thing to ask about is possibility of adding extra insulation during the siding replacement as this is the best moment to do that. Professional contractors should be able to present you with different options regarding insulation types and costs. As far as costs are concerned you also have to ask not only how much you’re going to pay in total but also the exact payment schedule. Different siding companies in Chicago approach the subject from slightly different angles. Some contractors require specific sum down and then subsequent payments on every stage of siding installation. Other would be happy to receive all of the money due at the completion of the project. It’s a big red sign when a siding company expects you to pay whole amount upfront before any work commence. Knowing, how much you’ll pay, you also want to learn whether your siding contractors offers warranties on their work and materials used as well as what conditions are to be fulfilled so you’ll be eligible. Ask also whether siding company of your choice is local business, so there will be someone to take care of repairs if the need arises. How to Replace a Piece of Vinyl Siding? When you want to install vinyl siding by yourself you need to be aware that there are many things you can not know about. So here are a couple of simple tips that will help you install your vinyl siding without frustration. The part the bottom panel hooks on to should be at least 1 in. below the top of the foundation, because the lower it is, the better. It protects the sheathing from rain and snow. You should cap each post before you install it because a lot of critters can make a home inside vinyl corner post. A lot of vinyl siding failures are caused when panels unlock from each other. So, you should remember to always apply a little upward pressure as you nail each piece, if you do this the panels will lock together nice and tight. Longer siding panels do not stretch as readily as smaller ones, so they are not as easy to adjust if they get out of whack. How to replace only a piece of vinyl siding? Replacing a broken piece of the siding really takes only a few minutes and you need a few simple tools that will easier the process for you. There is a couple of basic steps that will show you what you need to do. Firstly, you need to remove the old siding from the wall by inserting the siding – removal tool where the panles overlap and pull down and out. Then just use small pry bar to pull the nails from the course you need to remove and pull the piece of vinyl siding downward. So, now it is time to put the siding back on the wall. Just slide and snap the pieces of siding onto the courses below and replace the nails you removed. It can be a little hard to snap the last piece into the groove but a patience and perseverance will help you with that. Which Siding Type Should You Choose? When it comes to picking the best type of siding for your home, the answer is complex, not simple. There are many siding types and each is a great option in its own right. We recommend connecting with siding contractors Chicago homeowners recommend to get their opinion—because every home and every family is unique. Some of the most popular siding choices in the Chicagoland area include vinyl siding, James Hardie siding, aluminum siding, cedar siding, shake siding, and insulated siding. 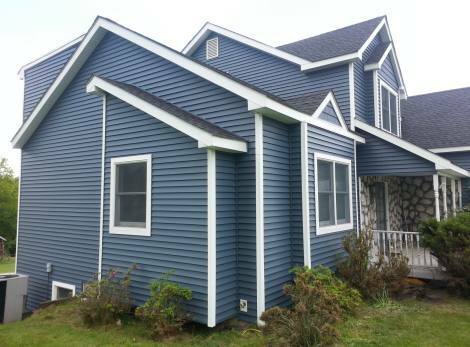 Vinyl siding is one of the most affordable options and has been very popular over the years. It comes in a wide variety of colors and styles. It is also easy to install. James Hardie siding is a type of fiber-cement siding. 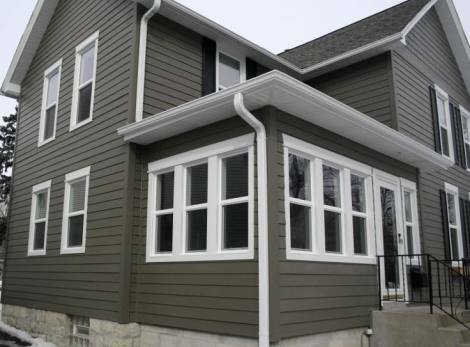 It, like vinyl siding, is a low cost option for siding installation Chicago homeowners will rave about for years. It’s available in a variety of colors and styles, but also textures. It can look like real wood. Cedar siding is durable and offers a great aesthetic. It’s not as durable as some synthetic siding. However, with maintenance, your wood siding can last as long as other siding types. Wood shakes offer a rustic look. Shakes are split from logs and thus aren’t completely uniform, which is part of their appeal. Aluminum siding is durable and affordable—it’s been around for years. Insulated siding is often vinyl siding which extra insulation added to the back. If you want a more energy efficient home, this is great for you! How to Paint Vinyl Siding? Vinyl siding is an incredible option for many homeowners. It is low-maintenance, affordable, and attractive without sacrificing durability. The only downside with vinyl siding, however, is that the color is built-in, meaning it can begin to fade in unattractive patterns due to sun exposure. Fortunately, vinyl can be painted so long as you know what you’re doing. There are some key preparations to make before you begin, however. For instance, make sure you carefully check your warranty to make sure paint will not void it. You also want to invest in quality paint, since your siding will now only be as durable as the paint itself. Before you get into painting, start by cleaning your vinyl siding. This process should include soap and water, with which you’ll hand-scrub your old siding. Do your best to remove all dirt, grease, and debris and then rinse it off. Some people recommend using power washing, but you should be extremely careful since this can get water into the siding itself, leading to all kinds of issues. Primer is another issue on which professionals are divided. While there are various schools of thought, the best rule of thumb for an amateur is to follow the guidelines laid out by your paint manufacturer. Next, you should understand some fundamental elements of your vinyl siding. This type of siding is installed specifically to slide around over its seams when it expands and contracts due to temperature changes. If you paint it during warmer months, you might see a gap in the color when it contracts during colder seasons. You should also be careful when choosing a color. 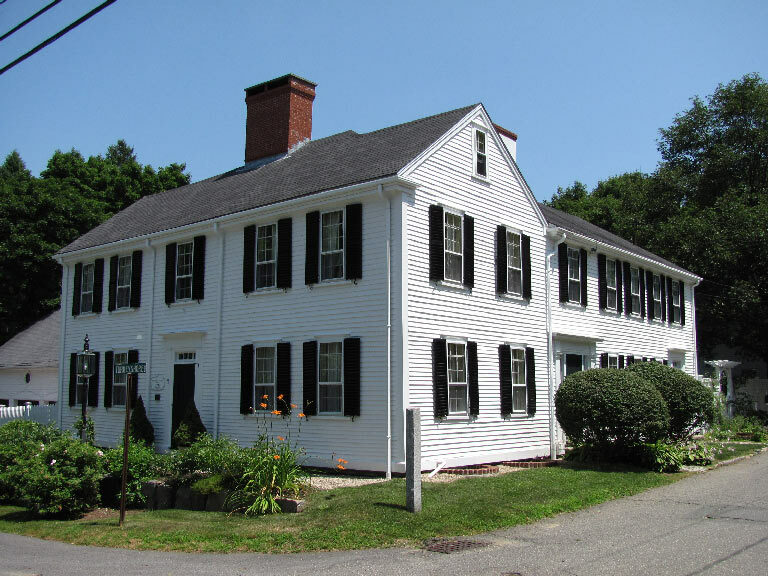 Your vinyl siding was manufactured with a specific amount of heat absorption in mind. Avoid using paint that is darker than the siding itself, since this can lead to unintended levels of heat. 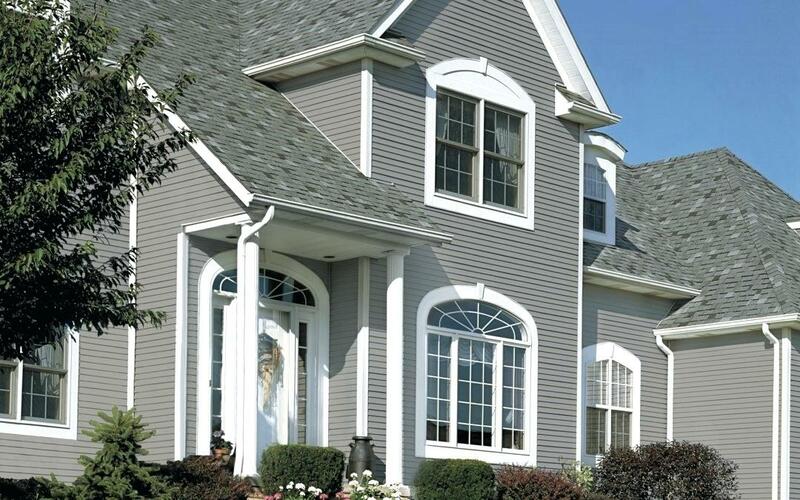 Vinyl siding is one of the most durable options you can choose for the exterior of your home. That having been said, proper maintenance is key to maximizing its lifespan. 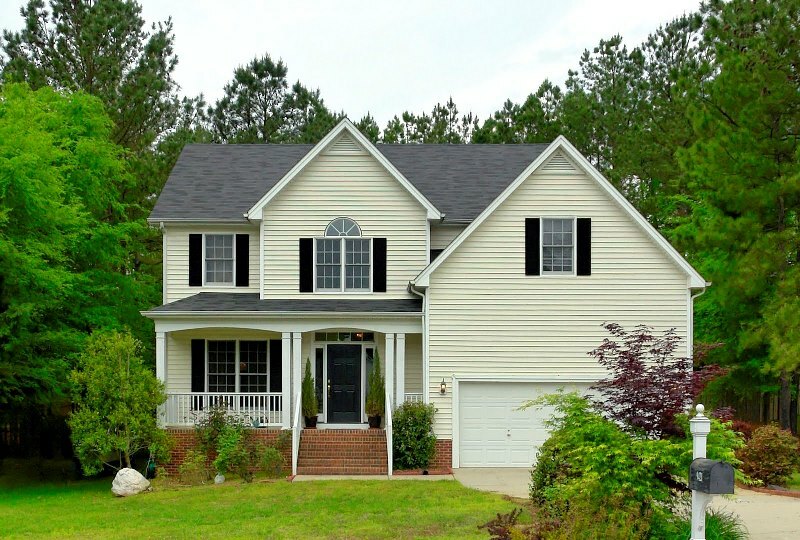 Vinyl siding, like any other exterior, can build up dirt, debris, and other stains over time. Mold and mildew can take hold if the vinyl is in moist conditions. If your lawn is treated with insecticides or fertilizers, these products can also discolor your vinyl siding. Products like caulking, driveway sealant, motor oil, and paint are all threats to the finish of your new vinyl siding as well. Despite the various ways in which your siding can take damage, vinyl siding is relatively easy to clean. Cleaning your vinyl siding should begin with a soft cloth or a soft-bristled brush. Once you begin cleaning, you should start from the bottom and work your way up. Throughout this process, take special care to rinse away all excess residue. As for cleaning solutions, you can easily make your own with 2 parts water, 1 part vinegar. If you need a stronger cleaning solution, you can add in powdered laundry detergent or bleach. If you prefer brand names, you can use Simple Green or other general household cleaners. While most cleaners are safe to use with vinyl, there are some specific options to avoid. For instance, undiluted chlorine bleach can wreak havoc on vinyl siding. You should also check any cleaning products for organic solvents, as these can damage your siding too. You should never use liquid grease remover either. If you have greasy stains on your siding, try upgrading your cleaning solution with oxygen bleach or laundry detergent. Overall, vinyl isn’t the most fussy type of siding out there. By following a few simple rules, you can keep your vinyl siding looking brand-new for years.